DEPA is the company that introduced natural gas to Greece implementing a big energy investment. DEPA with its long presence in the Greek market is a modern and competitive group of companies with a dynamic presence in the energy sector and substantial contribution to the development of the Greek economy, the protection of the environment and the improvement of the quality of life of the local communities. With the continuous expansions of the natural gas pipelines and the establishment of new Natural Gas Supply Companies (EPAs), DEPA Group is bringing natural gas to more and more regions of the country. Having entered into long-term pipeline natural gas and LNG supply contracts, it supports the supply sufficiency and security of the country and at the same time it develops significant initiatives so that Greece can play an essential role as a hub of natural gas transit to Europe from countries with rich natural gas deposits. 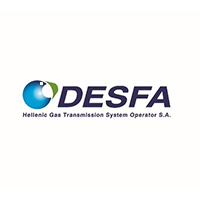 Hellenic Gas Transmission System Operator (DESFA), was established in 2007. The purpose of the company is the management and development of the National Natural Gas System and its interconnections, so as to ensure competitive, reliable, environmentally friendly and secure gas supply, while contributing towards regional gas market integration. DESFA’s experience and expertise in designing and managing LNG facilities, demonstrated by the strategic upgrade of Revithoussa LNG terminal, guarantees technical efficiency, quality assurance and environmental soundness of new operations in the developing field of Small Scale LNG applications. 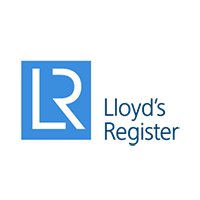 Lloyd’s Register (LR) is a global engineering, technical and business services organisation wholly owned by the LR Foundation, a UK charity dedicated to science and engineering education. Founded in 1760 as a marine classification society, LR now operates across many industry sectors, with over 9,000 employees based in 78 countries. Through a long-standing reputation for integrity, impartiality and technical excellence, our compliance, risk and research work, global technology centres and technical consultancy services give clients confidence that their assets and businesses are safe, sustainable and dependable, being at the forefront of understanding the application of new science and future technology. 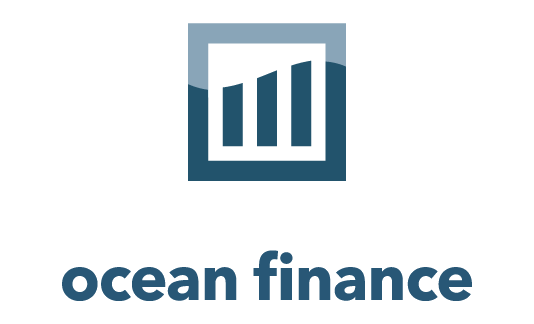 OceanFinance Ltd is a boutique business development company, providing strategic and investments consulting services to the maritime industry. Created by a group of maritime economists and engineers, the company is seeking to expand the maritime applications frontiers by commercially exploiting the generally available state-of-the-art methodologies and tailoring them to very particular needs of the maritime industry. Among the first to implement hybrid forecast, simulation techniques and key performance indicators methodologies in the shipping market, we help our clients to make successful decisions on shipping investments by capitalizing on market knowledge and expertise. By closely following the latest developments in the maritime, OceanFinance is among the first Greek companies specializing in the promotion of investments dedicated to the adoption of LNG as a greener marine fuel. 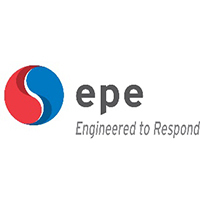 ENVIRONMENTAL PROTECTION ENGINEERING S.A. (EPE S.A.) was established in Piraeus in 1977. By continuously investing in research and development and implementation of new technologies, EPE S.A. is one of the major companies in the field of environmental protection, offering a variety of services and products in the marine and industrial field. Devoted to the needs of our clients and in establishing loyal, long term relationships we work together as partners accomplishing the corporate targets. The manufacturing activity of the company begins in 1982 with the design and production of marine environment protection equipment from ships effluents. All these years EPE S.A. has been producing innovative applications for total solution for all ship’s waste. 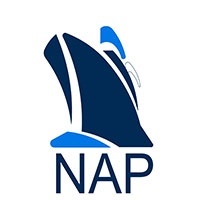 NAP ENGINEERING provides highly qualified marine design, engineering and consulting services to companies in the shipping business. Its core competencies are in ship design and consulting services for passenger ships & Ro-Rax ferries. Our areas of expertise include new building and conversion projects, providing technical support to existing fleet, and delivering strong project management expertise. We also invest greatly in Research and Development and are involved in many research and European programmes. Our team consists of naval architects, marine and mechanical engineers, as well as draftsmen with considerable experience in concept, Basic & Detail design, marine engineering, Project Management as well as new-building projects and large scale conversion projects. 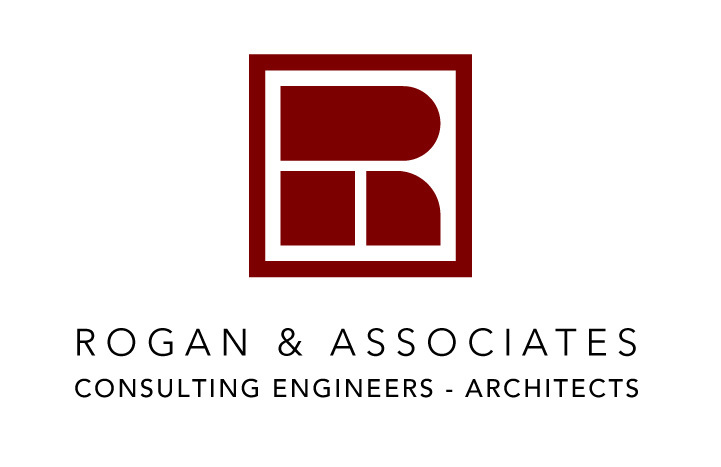 ROGAN ASSOCIATES S.A. was founded in 1977, as an open partnership, by Dr. Ing. Adelkis J. Rogan. Since then, the Firm has been offering its services in Greece and abroad. Apart from Europe, the Firm has worked in Africa, Middle East, the Caribbean, South America, Indian Ocean and South East Asia. The Firm provides leading expertise in Port Master Planning, Port and Marina Design, Port Development & Operations, Port Strategy, Coastal Engineering Studies, and Environmental Impact Studies. In addition, the Firm covers all phases of project realization: Conceptual Design, Preliminary Design, Environmental Impact Study, Final Construction Design, technical and socio-economic Feasibility Studies, and preparation of Tender Documents, evaluation of bids, and project monitoring/ supervision. Piraeus, the biggest port in Greece and one of the biggest in the Mediterranean, acts as a lever of development of international trade and the local and national economy. With a history starting in 1924 when the beginning of major civil works took place, Piraeus Port today has multiple activities in reference to the commercial port, the central port, ship services and real estate development and exploitation. Piraeus Port is the hub for the connection of continental Greece with the islands, an international cruise center and a commercial hub for the Mediterranean, providing services to ships of any type and size. Today P.P.A. S.A. employs more than 1500 people and annually provides services to more than 24,000 ships. P.P.A. S.A contributes to the local and national economic growth and continues its development by upgrading infrastructure and services provided. P.P.A. is developing into a modern and dynamic business that will offer high quality services, will keep investors satisfi ed, will ensure longterm job security and serve commercial transactions in Greece for the advantage of the national economy and the consumers in the most efficient way and within the context of the global port industry. The Port of Heraklion is the main gate for passenger, cruise and commercial traffic in Crete and the second one in passenger traffic in Greece. It has an excellent geostrategic position as it’s located in the middle of the South-Eastern Mediterranean basin. Today, about 1.5 million ferry passengers, 2.500 ferries, 250.000 cruise passengers, 300.000 vehicles, 150.000 tons of bulk and general cargo and over 20.000 containers pass through the port's gates each year. The strategic plan of the company, aims to make the port more competitive, providing high quality services in all areas of operation and make the port an important container and cruise hub of the Eastern Mediterranean region. Heraklion Port Authority will continue the promising strategic planning in order to achieve stable and long-term development, upgrading the basic infrastructure, facilities and capabilities of the port and offering high added value services for the port’s customers that will only result in positive benefits for our destination, for the local economy and national economic growth. 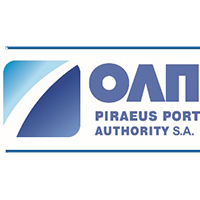 Patras Port Authority S.A., (O.L.PA. S.A.) is a state owned company governed by public law. Its main activities include, management of the port domain, development of port services, opening new activities in the maritime sector, cruise etc. O.L.PA. S.A. consists of 3 different directorates (Administration – Finance, Technical and Holding & Development) with discrete responsibilities which cooperate closely under the guidance of the board of directors. 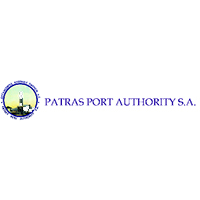 There are 37 people working for Patras Port Authority S.A.
Patras Port Authority has significant expertise in national, international and EU funded projects. 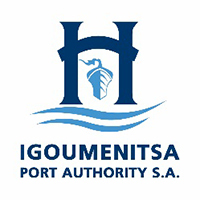 The new Port of Igoumenitsa was inaugurated at 19 September 2003. It’s located in the southern side of the land harbour area, outside of the urban area of the city of Igoumenitsa. It occupies a total area of 210 hectares from which 130 hectares are harbour area, while 80 hectares have been given for road construction, parking areas of private cars and trucks, refuelling station etc. The Port of Igoumenitsa primarily provides ship docking and passenger and vehicle traffic services. The port focuses on passenger traffic, through ferry connections to domestic and foreign destinations, while goods are transported mainly by trucks. Annual total passenger traffic: 2.500.000 passengers. Annual total truck traffic: 230.000 trucks. 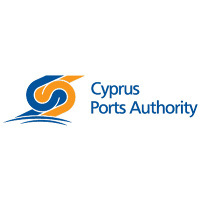 The Cyprus Ports Authority (CPA) is an autonomous semigovernmental organization established by law in 1973. It is governed by a nine-member Board of Directors that is appointed by the Council of Ministers for a thirty month term. The Board applies government policy which is conveyed and supervised by the Minister of Transports, Communications and Works. The activities of the Authority are two-fold. According to its legislative framework, it operates as the administrative organization of Cyprus ports, which on the one hand has a public role incorporating administration, construction and management of port infrastructure and on the other hand, carries out activities with commercial value relating to the provision, coordination and control of port services offered. The Authority is the main investor in Cyprus ports, though a significant share of remunerative port activities are carried out by the private sector. In this direction, Lemesos Port commercial activities are in the stage of commercialisation and this is a process carried out by the Ministry of Transport, Communication and Works. Port of Venice organization presents, on the one side, the Port Authority, under public law, that directs, plans, promotes, co-ordinates and controls port operations and, on the other side, private companies operating in the port. The 26 (7 commercial and 19 privately-owned) port terminals that manage all kind of port and transport operations, have direct railway and highway connections, handle almost all kind of goods, RORO and general cargo. In 2016 the total throughput was about 25.243.818 ton, 605.875 TEUs handled and almost 1.8 million passengers passed through the Port of Venice in 2016. It has immediate access to inland waterways. Since March 2017 the Port Authority has extended its powers to the port of Chioggia. The company was constituted in 28/05/1928 and has as main objective of its activities the management of tugboats and towing operations in ports as well as ship salvage and towage services in general. The tugboats operations in ports, permits the vessels to enter ports and maneuver in restricted areas by assisting them by pulling and pushing them. The operations of the company are direct to assist vessels that needed tugboat assistance for maneuvering as in a crowded harbor or a narrow channels, or those that cannot move by themselves, such as barges, disabled ships, log rafts, or oil platforms. The company has also developed specific skills in ship salvage operations in any sea condition and all possible location including narrow channels, low draft areas or open sea. commodities or good and discharge of vessels. In order to manage the activities of our objective business as mentioned above, our company it’s entitled and used to buy, lease or rent vessels, tugboats, ships, barges, dry docks, cranes or any other type of machinery or equipment needed for the operations. 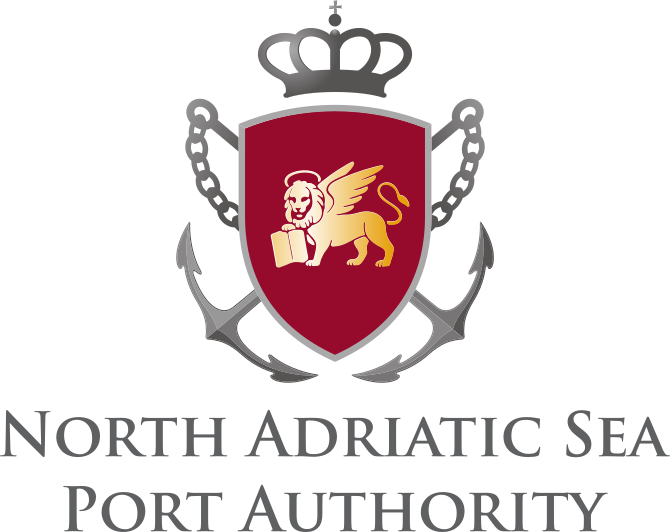 The Group includes Adriatic Towage srl, company that move with four tugs, assisting tankers at GNL Terminl Adriatico located in the northern Adriatic sea. MINOAN LINES, one of the largest ferry companies in Greece, was founded in 1972 and is a member of Grimaldi Group. It is headquartered in the city of Heraklion, capital of the island of Crete. 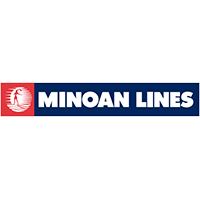 MINOAN LINES operates a fleet of modern, newly built, high-speed cruise ferries in the domestic and international market, offering connections between Greece and Italy (Patras – Igoumenitsa – Ancona / Trieste) in the Adriatic Sea and between Crete (Heraklion) and Piraeus. MINOAN LINES, a vibrant company with a long established reputation, 45 years since its inception, will continue to lead the way in the shipping industry providing high quality, efficient and safe passenger and vehicle transportation services. 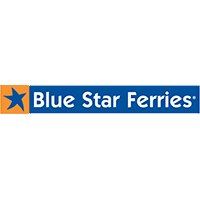 Blue Star Ferries, member of Attica Holdings S.A. is a leader in the provision of ferry services in the Greek Domestic Lines. With a fleet of 9 modern and technologically advanced vessels, Blue Star Ferries provides high quality transportation services all year round, for passengers, trucks and private vehicles, travelling to the Cyclades, Dodecanese, North-East Aegean islands and Crete. The high quality level and consistency of service, the continuous attention to detail, the luxurious on board experience with fine wining and dining and a wide range of activities, together with the expertise, professionalism and warm smile of our carefully-selected staff have established Blue Star Ferries as a top transportation provider in the Greek Ferry industry, offering passengers an exceptional and unique on board experience throughout the journey. Attica Ferries Maritime Company, is an Attica Holdings S.A. (Attica Group) company. 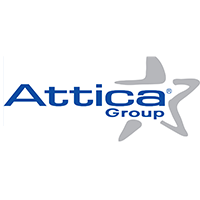 Attica Group is a leader in the provision of ferry services for passengers and cargo in the Eastern Mediterranean Sea, serving more than 40 destinations in the Greek domestic market (including the more remote Greek islands destinations) and on the international routes between Greece and Italy. The quality and consistency of service, the continuous attention to detail, the luxurious on board experience with fine wining and dining and a wide range of activities, together with the expertise, professionalism and warm smile of our carefully-selected staff offers passengers an exceptional and unique on board experience throughout the journey. SHIPPING COMPANY OF CRETE S.A. (ANEK LINES) holds a dominant position in the area of international and domestic shipping. 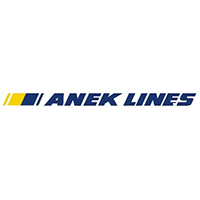 ANEK’s activity in the passenger shipping industry began in September 1970. The company’s large and modern fleet currently includes 10 ships, while its personnel sums up to approximately 820 employees (crew and at shore). ANEK has successfully implemented a number of EU and National Research Projects in the fields of safety, security and IT systems. ANEK Group serves more than 22 ports in the Aegean, Ionian and Adriatic Sea. 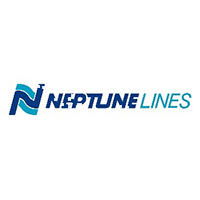 Neptune Lines is a leading shipping owner and operator in the Mediterranean and Black Sea region specializing in transportation of finished vehicles, or other rolling and static cargoes, for the world’s largest automotive manufacturers and logistics providers. The company has a 40-year history in short sea services, currently to more than 30 key ports in 20 countries. Neptune Lines’ modern fleet consists of 16 Pure Car & Truck Carrier (PCTC) vessels, all classed with reputable societies and registered under European Union Member States. 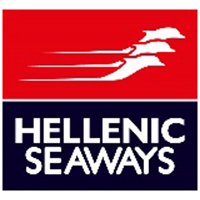 Hellenic Seaways is the largest and most well respected company operating in sea transportation of passengers in Greece. The company owns a fleet of conventional and fast ferries, reaching more than 35 destinations in Greece, both in mainland and the islands. Hellenic Seaways philosophy focuses on respecting passengers, partners, its fleet and the environment. 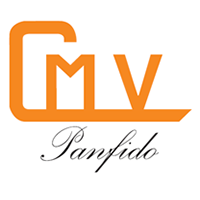 The company is certified since 2000 in accordance with international maritime standards. In recognition of its achievements in the particular areas Hellenic Seaways has been certified and awarded by national and international bodies and organizations. Arista Shipping was founded and incorporated by Mr.A.P.Panagopulos in 2007 and acquired its first handy size bulk carrier vessel in 2010. 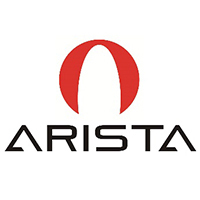 Today Arista operates 4 modern (2x28,000 + 2x56,000 DWT) bulk carrier vessels. The company is fully committed to LNG as marine fuel of the future, and has launched Project Forward, initially with ABS in 2013, while in 2015 Deltamarin and GTT joined as well Project Forward has delivered a novel engine room arrangement that succeeded to drastically reduce the extra capex involved with LNG as fuel, and thus form the basis of technically reliable and commercially feasible proposal. 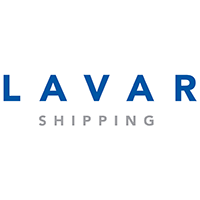 Having played a crucial role in the development of the maritime industry and the establishment of Cyprus as a shipping hub, Lavar Shipping is today one of the top three shipping agencies in Cyprus. Acting on behalf of many global shipping hub agencies, it handles all types of vessels, and represents a number of prestigious clients, from high-profile shipowners, global oil companies, and traders. Lavar Shipping’s vast range of services also includes a global Forwarding department, part of the Eurofresh network. The flagship company of the RPT Group, offering services across five inter-connected industries (Maritime, Business, Travel, Property, Environment-H&S) Lavar Shipping has evolved into a multifaceted organisation, specialised in the field of oil and gas logistics, and offering traditional and specialised maritime services to the shipping and energy industries. The company also plays an important role in ship-to-ship operations performed off Limassol Port limits and at designated points of anchorage. 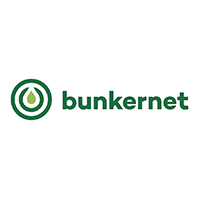 Bunkernet was established in 2007 with the primary purpose of supplying quality marine fuels and lubricants across the globe, both as a physical supplier and through a network of vetted partners. 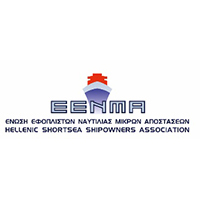 The Hellenic Shortsea Shipowners Association (HSSA) was officially found in 1940 under the name of “Mediterranean Cargo Vessels Shipowners Union”. HSSA is the oldest Shortsea Shipping associations in Europe accounting 75 years of uninterrupted operation. HSSA keeps a full record of all matters relevant to the industry, provides to its members continuous and reliable information and follows the latest developments in shipping, both at E.U. and international level. 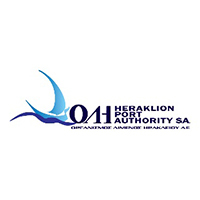 HSSA operates the Shortsea Promotion Centre Greece which was established in 1998. SPC Greece is one of the founding members of the European Shortsea Network and has served twice as ESN chairman. 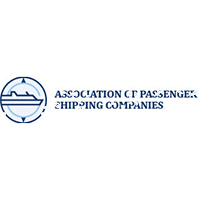 The Association of Passenger Shipping Companies (SEEN) was founded in 1921 and represents the Greek Passenger Shipping Companies. Members of SEEN are Greek and European shipping companies of Ro-pax vessels, operating on the Greek domestic lines, as well as on international lines and cruise. SEEN is the institutional stakeholder and official partner of the Greek Government on all issues relevant to passenger shipping, including on matters relating to the development of insular policy and the coastal network. As a social partner, SEEN negotiates and signs the Collective Bargaining Agreement for ship crews. SEEN is also member of SETE (Association of Greek Tourism Enterprises). SEEN’s aim is to support and promote the significance of passenger shipping for the Greek economy, to assist in the promotion of Greece as a tourist destination, and to contribute to the development of the insular regions of the country. At the same time SEEN undertakes initiatives and actions which will improve the operational and institutional framework of passenger shipping in Greece, the European Union and globally. Our mission is to further modernize and develop Greek shipping, in order to stand out in the European and international economic competition. 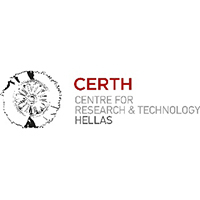 The Centre for Research and Technology-Hellas (CERTH) founded in 2000 is one of the leading multidisciplinary research centres in Greece and listed among the TOP-25 E.U. institutions with the highest participation in competitive research grants. and the Institute for Research & Technology of Thessaly (IRETETH). CERTH (CPERI) aims to provide innovative solutions with technological and/or commercial interest in Energy, Environment and Low Carbon Transport. CPERI is classified among the Institutes of Excellence in Greece and employs a scientific staff of about 250 people.